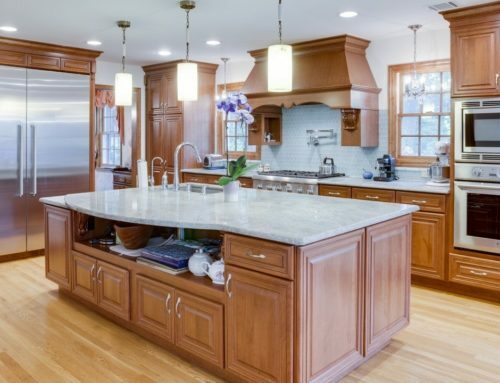 Many people have a hard time deciding between a traditional and a transitional kitchen. While we love them both at Designers Choice, it can be a difficult decision to make. This is why we’re going to run through some of the pros and cons to designing a traditional kitchen to help you figure out which look is right for your home. The pros and cons may vary based upon what aesthetics are important to you. It’s easy to create the theme of a traditional kitchen because the details are within the cabinets and doors of your kitchen. You don’t have to worry about doing a lot of decorating because the woodwork encompasses a great deal of the themes – and this is one of the top pros. The con to this is that it can be expensive to have the cabinets built in such an ornate and decorative way. At Designers Choice, we focus on ways to make kitchen and remodeling projects budget friendly – and will do our best to provide you with a phenomenal looking kitchen. 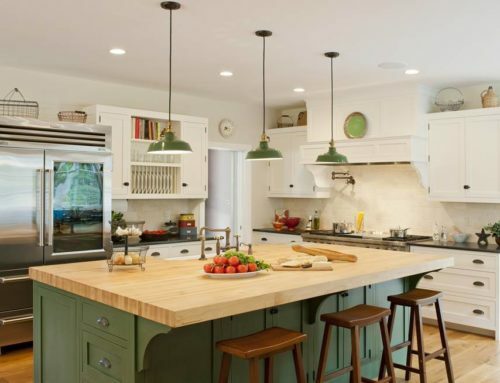 Another pro with a traditional kitchen is that you can opt for several different colors. If you are afraid of having to choose just one color, you don’t have to. Instead, you can choose complementary colors that blend well with each other. If you like the idea of having these various hues, than traditional can be the way to go – through with transitional, you can still have the colors as well. The main difference between traditional and transitional is that you can explore some more contemporary products and textures. If you are into some of the top design trends, including brighter colors, more uniquely shaped chandeliers, and eco-friendly materials, it can be hard to work all of these into a traditional kitchen. When it comes to designs, the traditional can lock you into a box where your hands are tied on too many design choices and this is another one of the cons. If you want more freedom to integrate some of the contemporary elements that you see and love, it can be easier to choose a transitional theme so you can pick and choose amongst the elements that you love. You don’t have to go through the design process alone. At Designers Choice, we will work alongside of you to go over all of the pros and cons between the themes you are considering. We can show you swatches of materials and photos of kitchens that have been previously designed. This will give you a better sense of what each theme encompasses and which one works best for you.